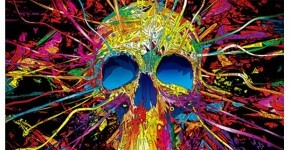 The phrase “pop art” comes from the English “popular art” and fits perfectly the design pictures presented here. The collection imagined by our designers is available in bright off-the-wall colours to lead you to the contemplation of each modern picture. Our design pictures in this category move away from any reality and will certainly fit in your wall decoration. 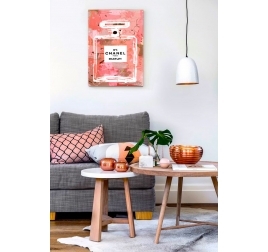 This contemporary art print offers a successful blend of vibrant colors to suggest the curbs of a thoughtful and loving woman… This decorative canvas is 70 x 70 cm (27.56 x 27.56 po). Free delivery within 48/72 hours in metropolitan France for this modern canvas. 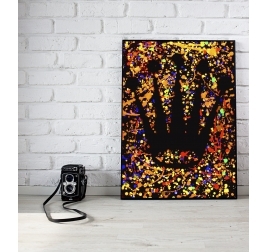 Each trendy art print is treated to withstand UV and moisture. Discover our limited edition canvas by our artists Artwall and Co. This decoration was made and signed by the artist ByOohlala. Three different sizes are available for this pop art canvas. Worldwide shipping for this movie decoration. The famous Richie Rich dollar in cartoon effect canvas ! This decoration was made and signed by the artist ByOohlala. Three different sizes are available for this modern canvas. Worldwide shipping for this unique decoration. The mythical Rolex watch in a modern artist's canvas ! This decoration was made and signed by the artist ByOohlala. Three different sizes are available for this contemporary canvas print. Worldwide shipping for this design frame. Discover our limited edition Canvas by our artists Artwall and Co. This decoration was made and signed by the artist ByOohlala. 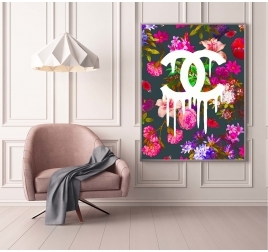 Three different sizes are available for this Chanel canvas. Worldwide shipping for this contemporary art. Discover our limited edition canvas by our modern artists. This frame was made and signed by the artist ByOohlala. 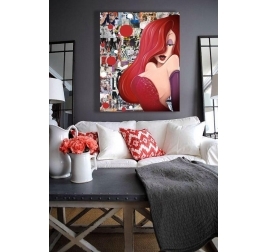 Three different sizes are available for this pop art canvas. Worldwide shipping for this colorful setting. Discover our limited edition by our artists ! This frame was made and signed by the artist ByOohlala. Three different sizes are available for this pop art canvas. Worldwide shipping for this design frame. Fashion and glamor touch with our design canvas. The dimensions of this modern canvas are 60 x 40 cm. This trendy canvas comes with its ties on the back of the frame. Worldwide shipping for this modern art. 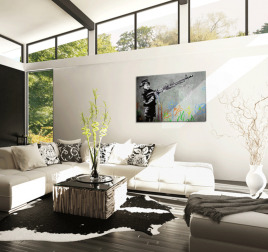 This "Happy Gun Kid" trendy art print reveals an eccentric and contrasting style. 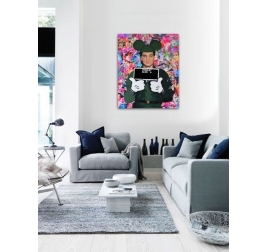 This pop art canvas is 80 x 60 cm (31.50 x 23.62 po). 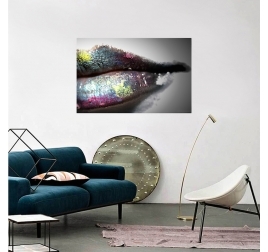 Free delivery within 48/72 hours in metropolitan France for this decorative canvas. Each decorative art print is treated to withstand UV and moisture.